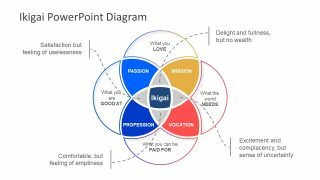 The simple and professional Innovation Ambition Matrix Diagram for PowerPoint is a 2-slide template. 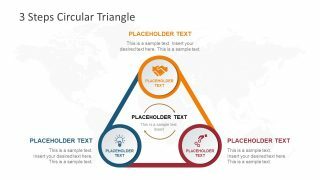 It contains the transition of three factors core, adjacent and transformational. Although the core defines vision, mission and objectives for the future. The template provides a graph view of curve components to demonstrate company’s current situation. The innovation ambition matrix is a concept of corporate growth. It aids the organizations to take an initiative towards innovating business processes. This PowerPoint diagram of ambition matrix helps display the relationship of product and consumer market. Here, the x axis shows the product categories like existing, incremental and new. Similarly, on the y axis, the market of existing, adjustment and new users. 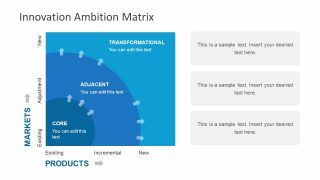 The graphic presentation of Innovation Ambition Matrix Diagram for PowerPoint provides the start jump for a better performing organization. The users can present companies cross functional area and explain the current status. 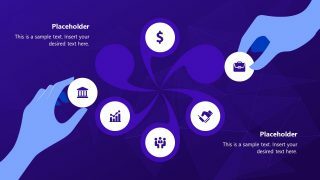 Along with the status, the users can also brainstorm and find solutions for an innovative progress. This innovation ambition matrix template has two contents layout. It shows the matrix with text placeholders on the right side to enter content of all three levels. These major factors with matrix to identify the targets of innovation and vision. Further, these visual graphics are the editable diagrams of PowerPoint. 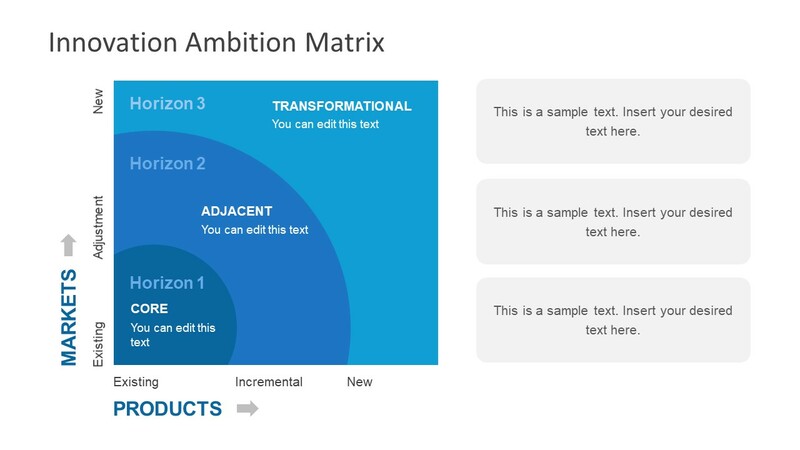 The PowerPoint diagram of innovation ambition matrix is a unique template to present the desire success and strategic business plans. SlideModel has another design for innovation ambition matrix with a statistical chart template. 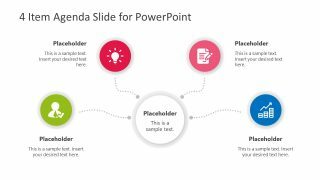 These innovation templates contain easy to customize PowerPoint shapes and icons. For example, to change the color of three curves in the graph, select the shape and choose color from shape fill. Similarly, modify the chevron icons or their directions with few clicks. The three levels of Innovation ambition matrix are also a good way to balance risks and projects.